Total Rocky Mountain pleasure extruding with opulence, in this extraordinary masterpiece. Construction cost far exceeded, current asking price. Virtually maintenance free exterior, from the 60 year composite tile roof, to the full copper siding, or the wood textured concrete supports. Floor to ceiling glass walls on the entire south side of the home. Several spacious gathering including a massive custom fire place. Golf course and stunning mountain views, wrap this fine home with comfort. Finishes of the finest quality throughout this magnificent mountain home. Several outdoor entertain spaces to include a magnificent fire-pit perched above the #2 tee box of the Ridge Course.Main floor shades and window coverings can move to selected mood or according to sun, heat and cooling. One touch of the homes electronic smart system wall pad or smart phone, as well as the full homes lighting system & security. One touch and the entire home can be lite to a number of settings like, "entertain or all on/off". The fire sculpture was created especially for the custom fireplace, which is a show piece in itself. In-floor radiant heat as well as world class granite, stone, exotic hardwoods & tile.Also a full-size generator, capable of running the entire home. 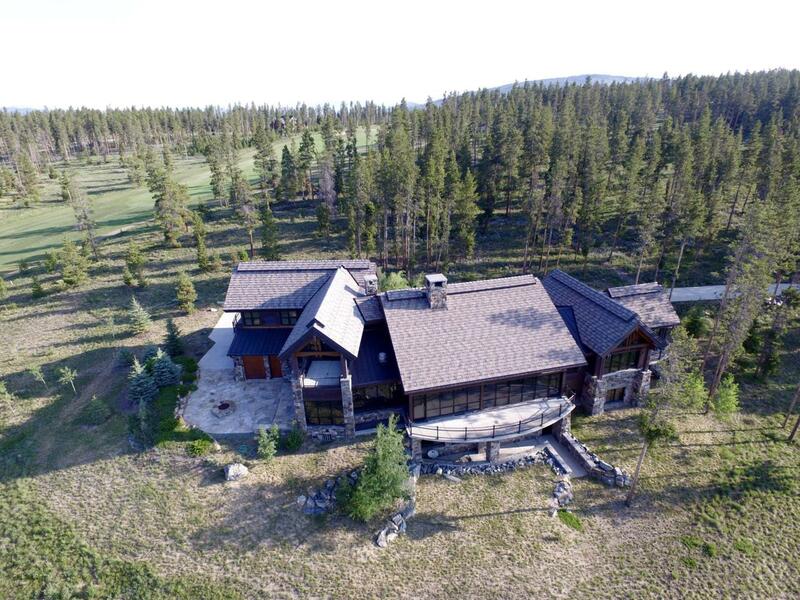 The exterior of the home has extensive landscaping on much of the 4.5 acre estate: to include a wonderfully gigantic, gas fire-pit and gathering areas, with extensive views of the Continental Divide & "Colorado's favorite Mountain Golf Course". The homes construction is superior and the list of extensive upgrades and architectural achievements of this home, go well beyond most vivid imaginations.